Spokane Bed and Breakfast, the E. J. Roberts Mansion B&B. Treat yourself to a luxurious stay at the E. J. Roberts Mansion. Built in 1889, the mansion boasts 5 fireplaces, 23 rooms and 8 balconies. Purchased by a railroad tycoon, the mansion has retained its original splendor. The parlor, dinning room, billiards room and library all feature an astonishing array of antiques. Additionally guests can enjoy a stroll in the extensive formal garden or retire to the secluded secret garden. 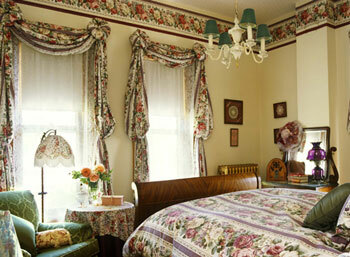 This and other Spokane Bed and Breakfast Inns can be found here online in The Register.